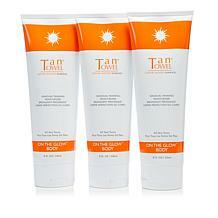 Tan-Luxe The Butter Tanning Butter - 16.9 fl. oz. 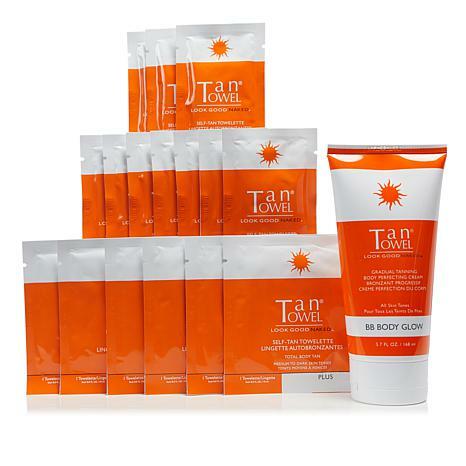 This self-tanning kit is ideal for medium to dark skin tones. It includes easy-to-use self-tanning towelettes and a lightly tinted cream with a warm vanilla scent. Unfold towelette and apply to dry, clean skin in circular motions over your body. 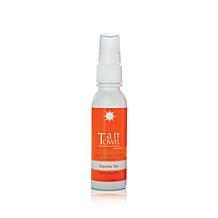 Use as often as needed for a deeper tan or to maintain your glow. 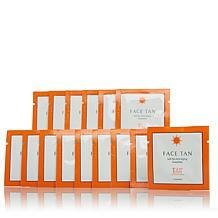 For best results exfoliate 24 hours prior to use. 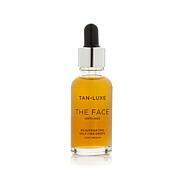 Apply evenly on skin surface and allow to dry prior to dressing. Ingredients: Water, Cetearyl Alcohol, Glycerin, Isopropyl Myristate, Butyrospermum Parkii (Shea) Butter, Ceteareth-20, Petrolatum, Dimethicone, Dihydroxyacetone, Hydroxyethyl Acrylate/Sodium Acryloyl Dimethyl Taurate Copolymer, Steareth-2, Aluminum Starch Octenylsuccinate, Erythrulose, Cetyl Esters, Mineral Oil, Phenoxyethanol, Sodium Benzoate, Potassium Sorbate, Fragrance, Caramel, Red 40. 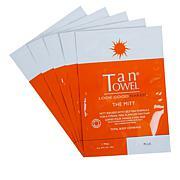 Love tan towels; use them all year to avoid that ghastly blah color. They give you just the pop of glow needed. The lotion is great for an overall glow in the summer. Been using these for years. Saves on the Dermatology procedures. I have been using tan towels for years. I just love them. They give me the most natural and believable tan with no streaking or mess. I am never without them. Oh what a difference they make to my pale winter skin. Friends will often ask me where I've been, because it looks like I just came back from an Island getaway. I also love that there is no icky chemical smell. Try them, you will love them. I am obsessed with these tan towels! They are so quick and easy to apply. The smell is not bad and it doesnt stain clothing. 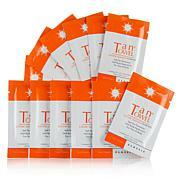 The tan lasts for a good few days and if you use the tanning cream with it, it prolongs the tan. I use these all year round!